Where did the mileage logs go?. Discussion in 'General' started by moneysaver, Dec 13, 2015. We swapped to the new Server, OS, forum software and gallery last weekend. Matthew is still working on bringing the mileage logs over and straightening out the tens of thousands of broken urls. Thanks Wayne.... The new Layout looks good so far....Hope things go smoothly. It has been a rough first week with a lot more work to go but it is coming along. Do you see an upload file button next to the post reply button? Wow - you are really are keeping busy! Just finished swapping out broken tables with jpg tables in all of the OEM November Sales reports. Hopefully next month will be a bit easier. GM November 2015 Sales Up 1.5% with 229,296 Vehicles Sold. Toyota November 2015 Sales Up 3.4% with 189,517 Vehicles Sold. Ford November 2015 Sales Up 0.4% with 187,794 Vehicles Sold. FCA November 2015 Sales Up 3.0% with 175,974 Vehicles Sold. Honda November 2015 Sales Down 5.2% with 115,441 Vehicles Sold. Nissan November 2015 Sales Up 3.8% with 107,083 Vehicles Sold. Hyundai November 2015 Sales Up 11.8% with 60,007 Vehicles Sold. Subaru November 2015 Sales Up 1.8% with 46,070 Vehicles Sold. Kia November 2015 Sales Up 1.4% with 45,553 Vehicles Sold. BMW November 2015 Sales Up 1.2% with 36,447 Vehicles Sold. Mercedes-Benz November 2015 Sales Down 11.7% with 33,475 Vehicles Sold. VW November 2015 Sales Down 24.7% with 23,882 Vehicles Sold. Mazda November 2015 Sales Up 7.0% with 22,732 Vehicles Sold. Audi November 2015 Sales Up 0.4% % with 16,700 Vehicles Sold. I highlighted your text and a copy flyout appeared, nice automation. I see an Upload button and a more options button. I too miss the mileage log, in fact I am twitching waiting for its migration. I have entered every tank my elantra has received since new. It was your top pick for my purchase at the time, Wayne, and it hasn't disappointed me. The free Hyundai cash has also been a nice plus. The preview button is now under the more options button. Even today the Elantra is still extremely relevant. I am in a 16 Civic EX this week and while truly an advanced C-segment with great looks, excellent chassis - read handling other than on-center feel and the latest infotainment, there is decontenting that bring it down into the Elantra realm even today. Seat heaters in any of the lower end trims is lacking whereas the Elantra from the SE packages onward include those. The key is price. If you are military, with a Hyundai and going to school, you can pick up a 16 Elantra with the AT for < $12k brand new! Civic, closer to $19k for something similarly equipped. I'm waiting for the mileage logs too, although I have also been keeping track on my own Excel spreadsheet as well. The mileage logs are a motivator. I also believe and wonder that the auto companies might be using the mileage logs for research purposes. I'm also contemplating what my next car will be when I buy one in 2017, the Prius has been an amazing vehicle for energy efficiency. The Canadian Civic LX is better equipped. I'd actually encourage Civic shoppers living in the northern states to consider importing one from Canada, for more features and a few thousand in savings. I found the Elantra seat heaters kind of weak, all the heat is concentrated in the bottom cushion with very little heat for the torso. The Civic's were better. Bump, will there be logs? I've been tracking my mileage since I bought my car new in 2007. Now the mileage logs are MIA. Can we have access to the data so I can export it? Obviously this isn't life or death, but it's something I've been working on for almost 9 years. I'd like to have that data, please. Matthew is still working on it. So I stood out in 39° windy weather for ~20-25 minutes filling up today and I can't even log it??!!?!?!?!?!?!? I am quite partial to our first world problems. Matthew is on vacation this weekend so hopefully we will see some progress sometime next week. JonNC and xcel like this. Just by chance I did an export of my data about a month ago - a guy at work was raving about lucas oil fuel additive so I ran a few tanks with it and saw no change whatsoever. When he saw my graphs he said "oh I guess it doesn't help if you are already hypermiling" He still claims it's worth it as long as gas is above $2/gallon... Whatever. No hurry on the mileage logs, I get it that swapping site software is a big job. Thanks for keeping the site going all this time. No rush Wayne, my last fill interval was 2 months, and I've been walking to work the last 3 weeks, I may need to log a tank in March though. I'm waiting patiently. I will be using a tank about every 7 days , winter. 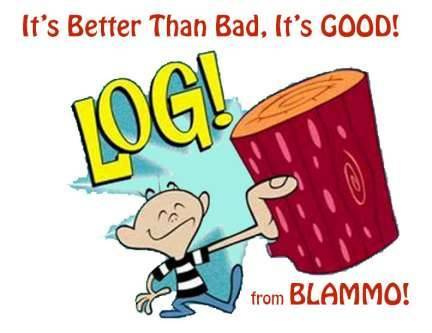 Without logs there is less and less reason to come to this site. JonNC, xcel and bc104 like this.